Responsible Pest Control delivers EFFECTIVE Pest Control in Fountain Hills for Scorpions, Rodents, Spiders, Roaches, Crickets, Ants, Earwigs, Bed Bugs, Termites, Ticks, & more! Providing QUALITY scorpion & pest control treatments with responsible techniques for the safety of all your family & pets GUARANTEED! After eliminating scorpions already in your yard and home, we HIGHLY recommend monthly scorpion pest control. MONTHLY scorpion pest control maintains the protective barrier so scorpions DO NOT COME BACK! Effective scorpion control is an ongoing process as product barriers wear off in about a month. Follow up includes regular exterior scorpion pest control each month to kill pests and scorpions BEFORE they enter your home! Scorpion Pest Control services are always GUARANTEED as long as you keep up your regular services. Watch Scorpion Pest Control WORK! CLEAN CUT, experienced, and courteous Fountain Hills exterminators. Using premium products that are highly effective with very low toxicity & odor. Our expert pest control tech’s respect your home and wear BOOTIES inside. We’ll SWEEP all spider webs under first story eves during each regular service. We give courtesy calls to remind you of your service a day to two before your service. 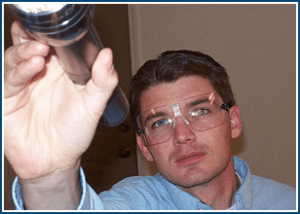 Responsible’s Technicians are LOCAL and familiar with your neighborhood and pests. Every service by Responsible Pest Control is GUARANTEED if yo u ever had a bug problem between regular services, just give us a call! We’ll schedule you for a FREE retreat and take care of it right away. Resolve and PREVENT any Termite or Pest Control issue! From our start in 1991 we have over 24+ years of experience! A+ BBB rating for over 24 years. Common sense solutions & advanced professional product applications according to target pests habits and harboring areas is key to EFFECTIVE pest control in Fountain Hills. Pests need food, water, & shelter to live and breed. Cleaning up debris, fixing leaky pipes and watering systems, or adding a new door sweep, are simple things you can do to reduce pest resources. Solutions may be suggested by your Responsible pest control pro. to give you maximum results specific to your home and yard. 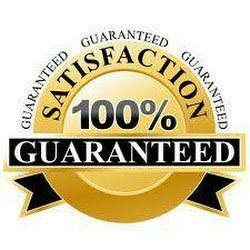 Responsible’s expert exterminators are well trained, and responsible with the BEST professional products available. They know and use proper dosage & responsible application techniques. Providing you pest control that’s EFFECTIVE and FRIENDLY to your pets & family. Warm winter temperatures allow pests, like Arizona Arizona Scorpions and spiders, to live ALL year long. Pest Control in Fountain Hills has best results when used on an ongoing basis. Our Fountain Hills Pest Control services first RESOLVE then PREVENT any pest infestation. Your first service is an Initial “Clean-Out” service that exterminates pests already in your home & yard. AFTER that, MONTHLY or BI-MONTHLY pest control services MAINTAIN a protective barrier around your home & yard ALL year long. Residential & Commercial Termite Control. 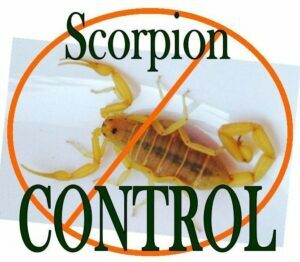 Delivering EFFECTIVE Scorpion Pest Control in Fountain Hills AZ & surrounding areas.